Windstar Cruises, the leader in small ship cruising, revealed big news about the award-winning line’s $250 Million Star Plus Initiative at Seatrade Cruise Global, the cruise industry’s most celebrated worldwide event. At a press conference, the Seattle-based cruise line’s President John Delaney, revealed 360-degree “views” and vibrant renderings of what guests will experience on the line’s three renovated vessels, Star Breeze, Star Legend and Star Pride. Delaney was joined by Giorgio Rizzo and Lawrence Zammit, respectively Fincantieri Services Executive Vice President and Vice President Merchant Market Strategies and Sales for partnered shipbuilder and ship conversions specialists Fincantieri. Zammit shared technical details and video on the complex project in the wake of last week’s “Steel Cutting Ceremony” that began creation of the first new section of ship, proving the project is moving from renderings to reality at Fincantieri’s Shipyards in Trieste and later in Palermo, Italy. "This is the biggest investment and expansion in Windstar Cruises’ history," said Delaney. “The investment of a quarter of a billion dollars ensures to our loyal and future guests, and industry partners, that these ships will continue to sail for generations and deliver on their promise of visiting the smaller ports and waters of the world that our brand is known for. We are all proud to be part of this historic event in the small ship cruise industry." 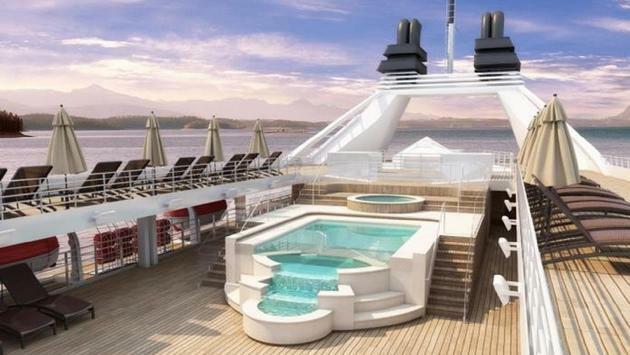 Windstar will take half of its fleet—Star Breeze, Star Legend and Star Pride—and renovate each ship in succession. Work on the ships begins in October 2019 and ends in November 2020. The total capacity of the expanded ships will be 312 guests, with additional staff hired to maintain the line’s impressive 1.5 to 1 guest-to-staff ratio. The ships’ new engines will meet and exceed new global International Maritime Organization (IMO) limits—one of the requirements being the engines produce no more than .5 percent sulfur content. In addition, the new engines are designed to reduce nitrogen oxide emissions, supporting the company’s goals of traveling with a softer environmental footprint. At the Seatrade conference today, Delaney walked media and special guests through the vision for the new spaces, especially the 50 new suites configured with the bed by the window or balcony. Delaney also gave a first look at the planned new Grand Owner’s Suite, the elegantly appointed mid-ship suite that boasts three adjoining individual suites to create a 3-bedroom, 3.5-bath suite, separate dining room and living room areas, an entertainment bar, a spacious central balcony and additional balcony in one of the bedroom suites. Totaling 1,374 square feet, the combined three-bedroom suite can accommodate up to seven guests—ideal for extended families and friends. In addition to the new guest suites, all bathrooms in existing suites will be renovated in the same design. An inviting new infinity pool was also revealed, along with a reimagined Veranda restaurant with all new layout and more seating. More news and reveals will be announced in the coming months, including two highly anticipated new dining spaces and new dining concepts on board, a world-class spa and fitness center and enhanced “living room-esque” deck space, where guests will no doubt congregate. 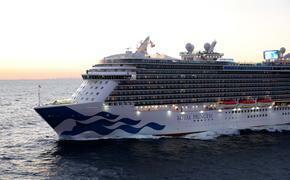 The renovated ships will chart courses to some of the most popular, aspirational and legendary destinations in the world including Iceland, Northern Europe, the British Isles, Ireland, Greece, Turkey, Crete, Israel, Egypt, Malta, the Cote D’Azur, Alaska, the Panama Canal, Mexico, Baja, the West Coast of the U.S. and the Caribbean. Itineraries will continue to feature transits of the famous Corinth Canal—a feat only small ships can fathom—along with a plethora of other “small ship only” experiences. To learn more about authentic small ship cruising with Windstar or to book a cruise, contact a travel advisor or Windstar Cruises by phone at 1-800-258-7245 or visit www.windstarcruises.com.